Ever heard of Recycle Art? 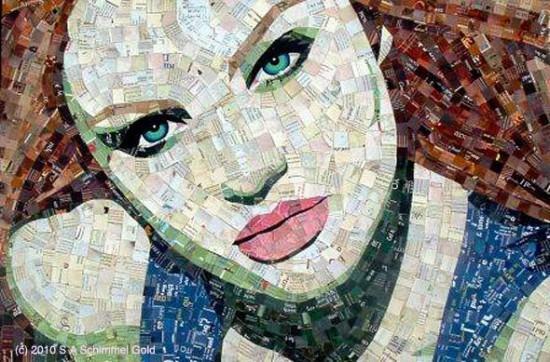 Artist Sandhi Schimmel Gold uses junk mail and other paper waste most people throw away to create portraits, calling this technique Acrylic Mosaic Fusion. When in Venice years ago the artist saw a portrait made of small colourful glass fragments, she felt inspired to start creating mosaic portraits. After experimenting with different material, SandhiSchimmel Gold decided to settle on an art from that combines traditional painting with paper. 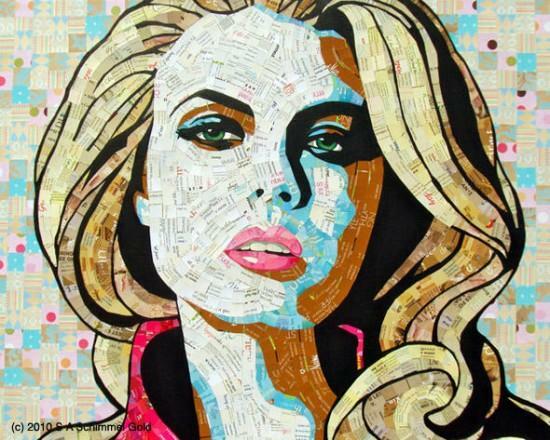 Using upcycle junk mail, post cards, photos, calendars and other paper junk together with paint,Sandhi Schimmel Gold creates the most fascinating papier collé mosaic portraits. Everything she uses is hand-cut and embellished to create new images of beauty from material otherwise going to waste. Now that’s another beautiful way to reduce paper waste!